At Brennan, we view ourselves as a resource to those who work for the DOT, including engineering firms and other contractors. 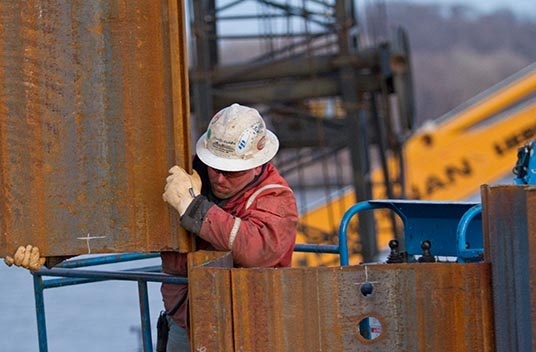 Our ability to provide a wide range of services from small specialized repairs to full bridge replacements allows us to deliver value to our clients. 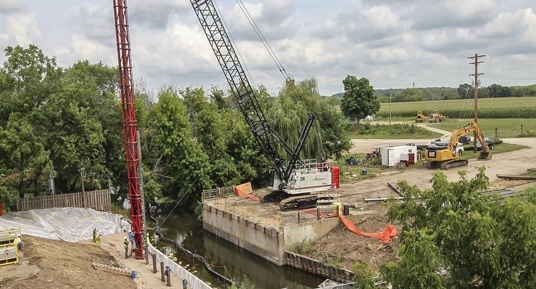 Brennan has one of the largest, best-maintained fleets of floating equipment in the Midwest ranging from small sectional work platforms up to Great Lakes Load-Lined barges. 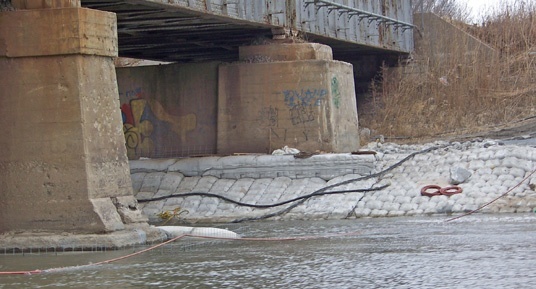 We often team with other contractors and provide underwater construction and inspection services, pier and abutment repairs, scour and erosion remediation, and robust bridge protection systems. 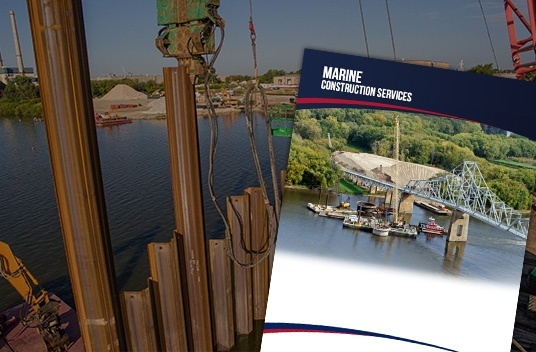 We can aid in demolition, or lend a hand by providing marine support. Our ability to provide turnkey, time critical infrastructure projects will ensure that your projects stays on schedule and result in the highest quality possible. Throughout the project we create a collaborative environment with the owner and its representative engineer to ensure that work is carried out in the most efficient way. Our experienced crew members have the tools and expertise to perform above and below-water repairs on concrete and masonry piers and abutments. We specialize in accessing remote locations to provide cost effective, critical repairs using innovative methods. 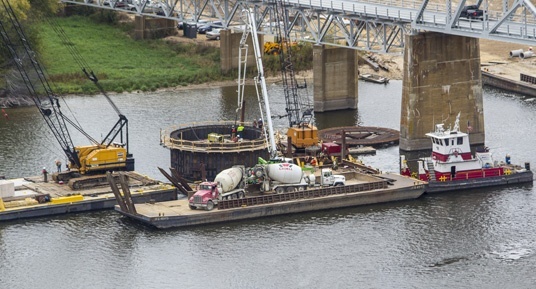 Using our specialty repair services you may be able to avoid the added cost of a cofferdam, and truncate the required schedule to complete the project. Brennan can provide multiple options that will result in a robust, long lasting solution. Whether the problem exists along an embankment, or adjacent to a pier, we have a solution for you. 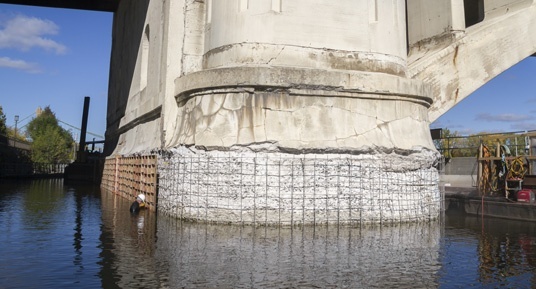 Our repair methods can be carried out above and below the waterline, ensure that the bridge is as strong at its foundation as it is at the roadway. Bridges across navigable waterways are susceptible to damage from vessel traffic. Quality timber cribbing systems, dolphins, pile clusters or protection cells adjacent to the pier can be crucial to protecting your bridge from irreversible damage and shut downs.